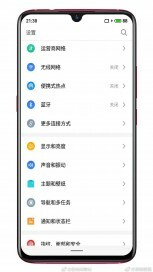 Meizu is preparing a new phone, called Note 9. The news was revealed by the company CEO Jack Wong who revealed in a post that the phone will be powered by the upcoming Snapdragon 6150 chipset. 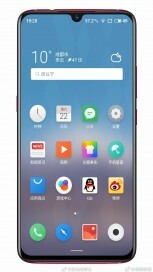 It will also have a 48 MP camera and will reach AnTuTu scores of around 170,000. It will be the first Meizu smartphone with a notched front panel, sporting a waterdrop cutout left for the selfie shooter. 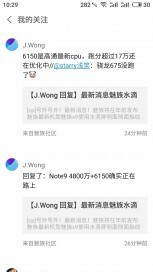 Rumors about a Meizu X9 were downed by Mr Wong after he announced the Note 9 moniker. While the Snapdragon 6150 chipset is not official, it is expected to be a midranger in the 600-series, supporting up to 1080p resolution. This is further supported by the AnTuTu score. 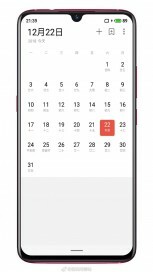 The new phone will be a successor of the Meizu Note 8 that arrived two months ago. It was announced with dual 12 MP + 5 MP camera and Snapdragon 632, while the memory is 4/64 GB without a microSD slot. The Note 9 looks like an update and hopefully the new phone will have more storage options, newer OS and USB-C.